While the Yosemite Valley is the most popular place to visit during a trip to Yosemite National Park, the Southern part of the park near Wawona should not be missed. A visit to the Southern part of Yosemite offers the park’s largest group of ancient giant sequoia trees, the best place to learn about the history of Yosemite, the historic Victorian-era Big Trees Lodge (formerly the Wawona Hotel), and less crowded hiking and climbing opportunities. One of the great highlights to many visits to Yosemite National Park is a walk among the ancient giant sequoia trees in the Mariposa Grove. 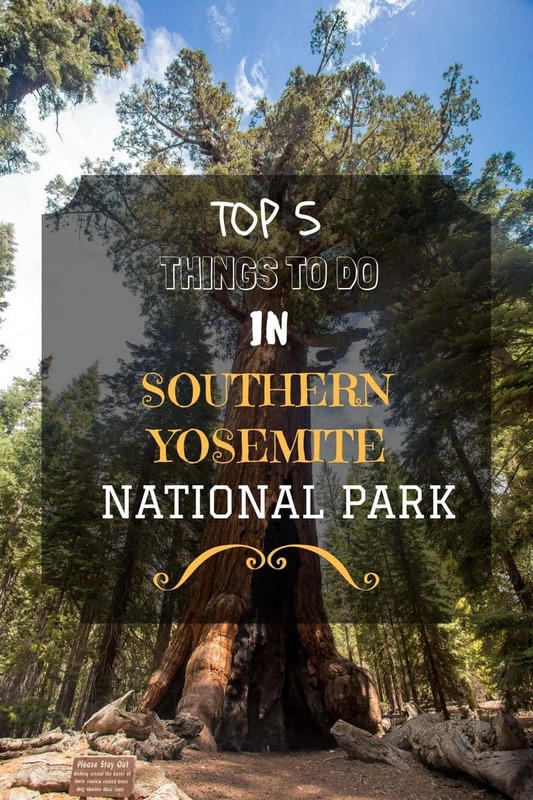 If you are interested in spending some time in the south end of the park, then read on to discover our list of the top five things to do in the southern end of the Yosemite National Park. If this is your first trip to Yosemite, you might start by reading our article on planning your trip to the Yosemite Valley. First we’ll share all the information you need to get to Yosemite, find the southern entrance, and where you can stay in the area. You can either drive or take public transportation to reach Yosemite National Park. Driving: To reach the Southern end of Yosemite from outside the park, enter at the South Gate Entrance to Yosemite National Park located off Highway 41. It is approximately 4 ½ hours from Los Angeles, 3 ½ hours from San Francisco, 3 ½ hours from Sacramento, and 1 hour 15 minutes from Fresno. The most popular time to visit Yosemite is during the summer so expect potential traffic delays in the park during this time. Check Yosemite’s weekly traffic forecast, weather forecasts, weather-related road conditions, and road closures before your visit. Tire chains or cables may be required in fall, winter, and spring due to snowy or icy conditions. Public Transportation: Check out Amtrak, Greyhound, and the YARTS bus service for public transportation options to Yosemite National Park. Also check out this webpage on public transportation option on getting to the park. The YARTS Highway 41 bus (fee) leaves from the Yosemite Valley Vistor’s Center and stops at Wawona, Mariposa Grove, and Tenaya Lodge. There is a free shuttle (seasonal) from the Mariposa Grove Welcome Plaza, near South Entrance, to the Mariposa Grove. Already in Yosemite Valley? If you are already in the Yosemite Valley, it is about a 45 to 60 minute drive from the Yosemite Valley to Wawona. Just head towards and follow Wawona Road/Highway 41 South. You should probably allow 1 hour 30 minutes to get from the Yosemite Valley area to the Mariposa Grove. The driving time will depend on traffic and weather conditions. A drive from the Valley to Wawona affords a great opportunity to make quick stops to do the short hike to Bridalveil Fall and take in the picture-perfect Tunnel View along the way. If you don’t have a car, the YARTS Highway 41 bus (fee) leaves from the Yosemite Valley Vistor’s Center and stops at Wawona, Mariposa Grove, and Tenaya Lodge. 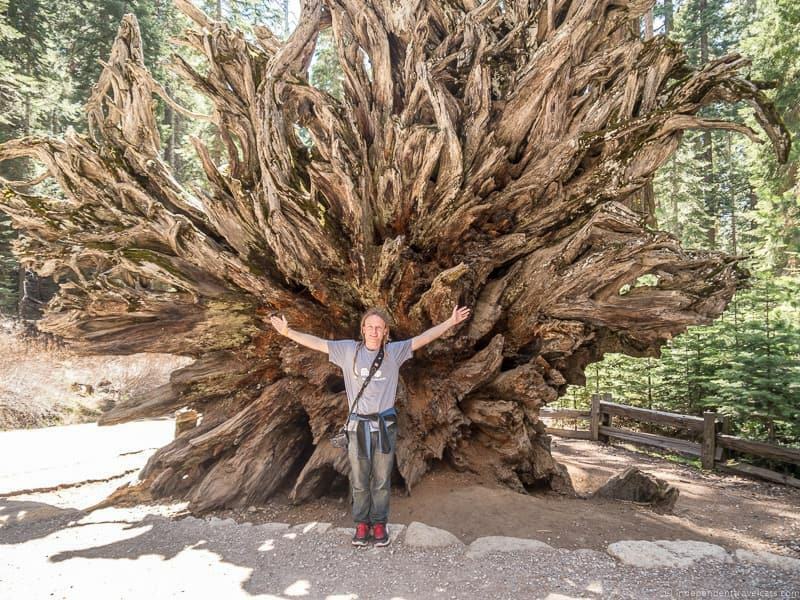 The Yosemite Grand Tour guided bus tour (must be booked in advance) currently includes lunch in Wawona and a visit to Mariposa Grove. Visitors to the Mariposa Grove arriving by car or bus need to stop/park at the Mariposa Grove Welcome Plaza and from there you can take a free shuttle. There is a free shuttle (seasonal operation) from the Mariposa Grove Welcome Plaza, near South Entrance, to the Mariposa Grove. How much time should I spend in the south part of the park? There is at least a full day’s worth of things to do here. More if you want to climb and do some of the longer hiking trails. 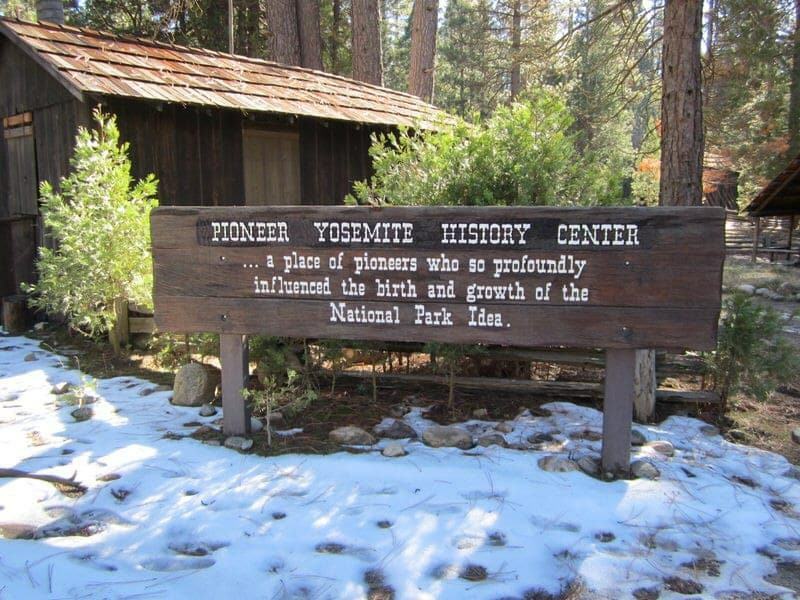 However, if you are on a tight schedule you do a quick 30-minute walk around the Pioneer Yosemite History Center, get a drive-by view of the Big Trees Lodge, and spend a couple of hours hiking one of the the Mariposa Grove in a morning or afternoon. Lodging options in the southern part of Yosemite? Want to stay in this part of the park? There are several options, just be sure to book well in advance (months ahead if you plan to visit in the summer). There is of course the historic Big Trees Lodge (formerly the Wawona Hotel) which we will discuss further later. This Victorian-era inn will appeal to those who enjoy historical hotels. But there are but there are others located both inside the park and outside the park near the South Entrance. Some places to check out include the Tenaya Lodge, Big Creek Inn B&B, and Tin Lizzie Inn. 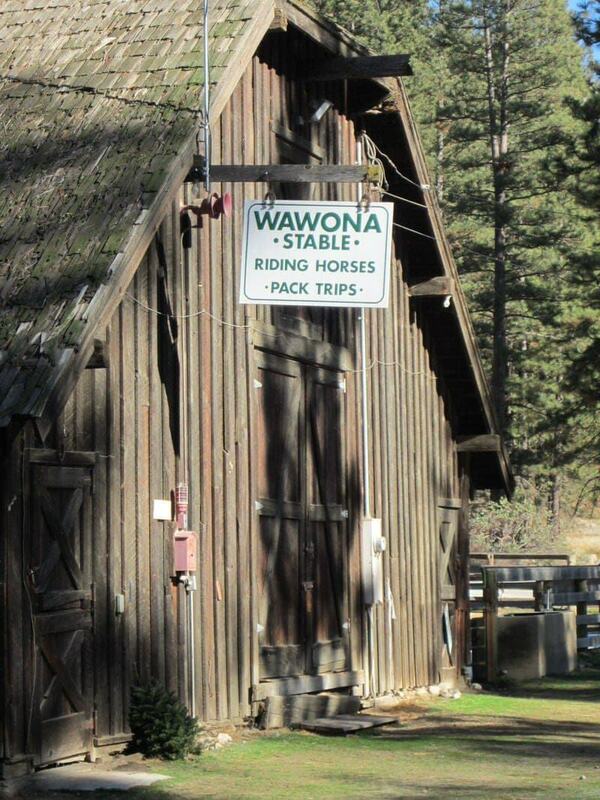 Campers and RVers should try the Wawona Campground. Those wanting to stay in a town outside of the park might want to consider Oakhurst as it is about 10 miles from the Southern entrance to the park and offers a number of lodging options and services. You can search for lodging in Oakhurst here. Check out the wonderful Yosemite National Park website managed by the National Park Service that is a great resource for planning your trip. Now, while the National Park Service runs and manages the park, a contractor runs essentially all the concessions, gift shops, lodging, etc. in the park. The current concessioner is Aramark and you can visit their Yosemite website here which provides details about lodging options and offered tours. There are five main things to do in the southern part of Yosemite National Park. 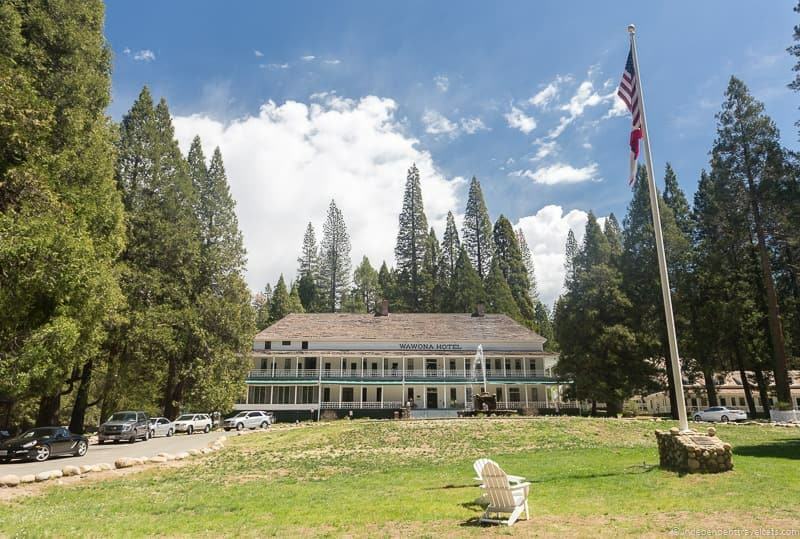 This Victorian-era hotel is a pretty sight along Wawona Road with its historic white wooden buildings, verandas overlooking sprawling green lawns, and fountain. 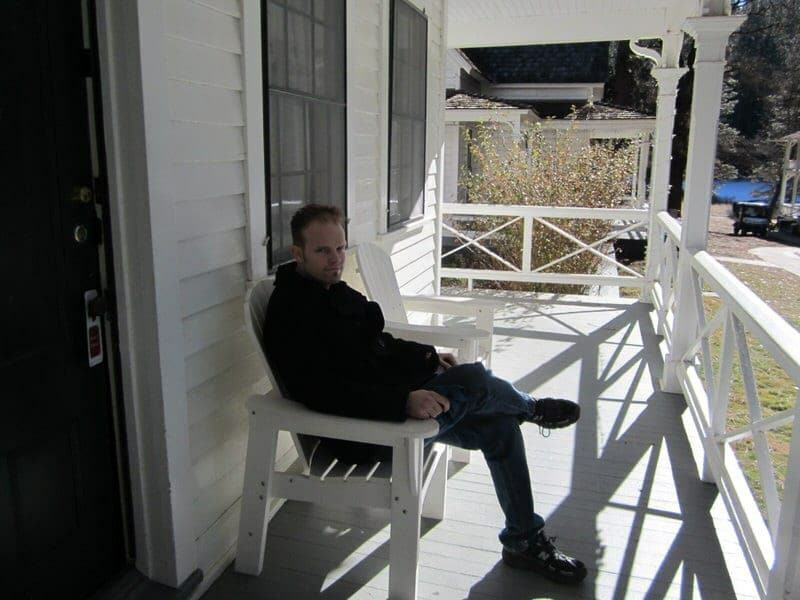 The Big Trees Lodge (formerly the Wawona Hotel) has a history that goes back to Galen Clark and the oldest building on the property is the Clark Cottage built in 1876. This National Historic Landmark is worth at least a quick car stop to see the property although you can actually just slowly drive up and around the circular driveway for a quick peek. If you want to linger, you can take a seat on one of the public chairs on the large veranda of the main hotel building or step inside for a meal in their dining room restaurant. 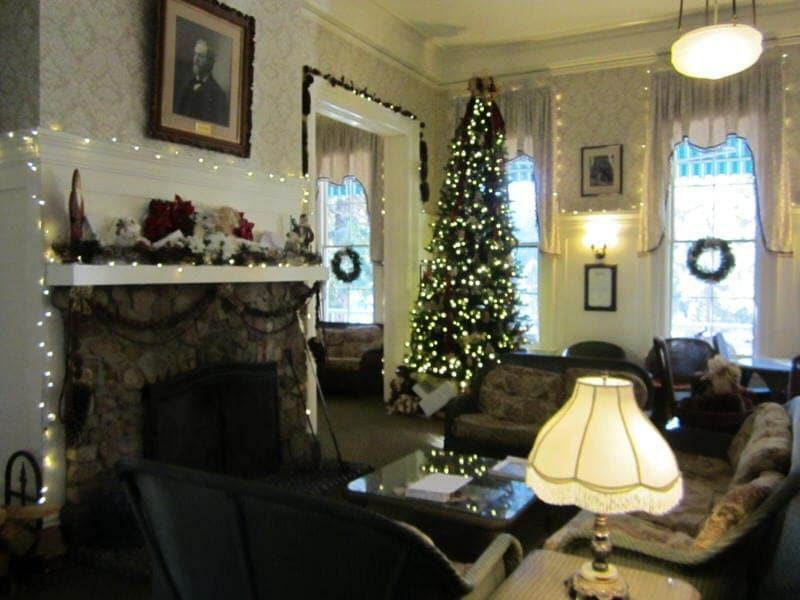 Or in the winter you might want to take a break in front of the lobby’s cozy fireplace with a drink. During your visit, you might also want to stop at the Thomas Hill Studio that sits on the property to the left of the main hotel building. Originally built as a painting and sales studio for landscape painter Thomas Hill in the 1880’s, one room currently serves as a visitor center and gift shop and a second room contains exhibits and some interesting information related to the artist, his paintings, and his relationship with the park. This is also a good place to pick up maps, guides, and wilderness permits if needed. Experience the beautiful southern end of the park from atop a horse or mule. Trace the hoof prints of the early pioneers to Yosemite by taking a two-hour ride along the original historic wagon road or opt for a longer half-day ride that includes pretty Chilnualna Falls. The Big Tress Lodge Stable offers guided horseback riding options that are great for beginner riders. The Big Trees Stable is open from Spring to Fall and reservations are recommended (call 209-375-6502). You can also find horseback riding options offered by Tenaya Lodge in nearby Fish Camp which include trail rides in the Sierra National Forest and the southern part of Yosemite National Park. Go back to a time of horse-drawn wagons, covered bridges, and log cabins. 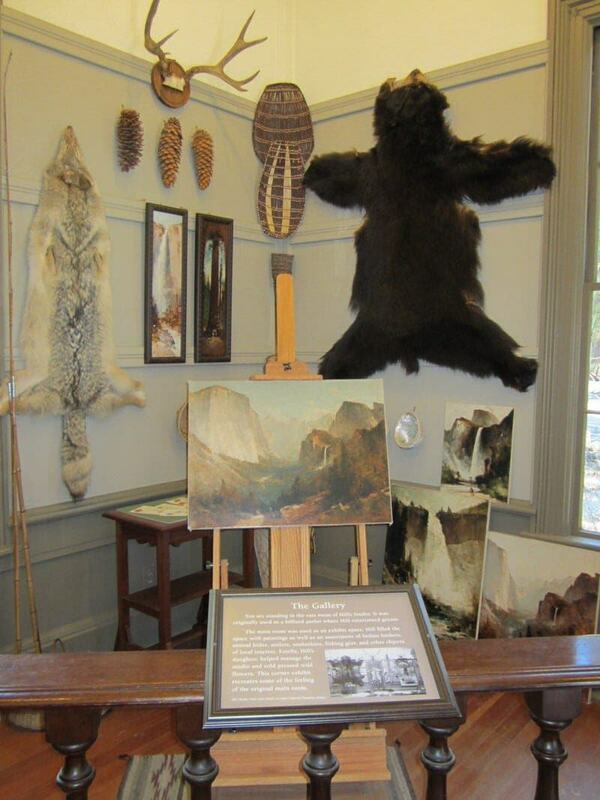 A visit to the Pioneer Yosemite History Center explores Yosemite’s history and explains how Yosemite was the inspiration for national parks across the country. This outdoor open-air museum includes a collection of historic buildings from different eras in Yosemite’s history. 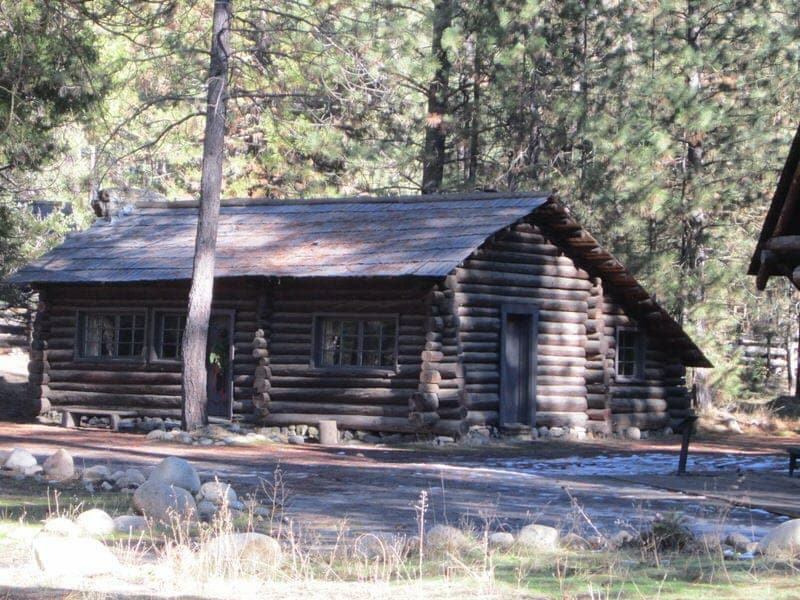 While each building was constructed for different purposes in different locations in Yosemite, these buildings were moved to Wawona in the 1950’s and 1960’s for their preservation. During your walk you’ll get to see horse-drawn wagons, walk across a covered bridge, and a view a number of historical buildings such as cabins, a barn, a bakery, a cavalry office, and a ranger patrol cabin. Interpretive plaques are posted and you can pick up a brochure for a $0.50 donation at the entrance (or download it before you visit). There are also seasonal carriage rides available. One of our favorite experiences on our first visit to Yosemite was standing among the ancient giant trees of the Mariposa Grove. The Mariposa Grove is the largest of the three groves of mature giant sequoias within the park. If you are wanting to visit a lesser known Giant sequoia grove within the national park consider the Tuolumne Grove or the Merced Grove, both require about a 1 mile hike to reach. Giant sequoia trees are amazing, they are the largest type of trees in the world by volume and can live to be 3,000 years old! 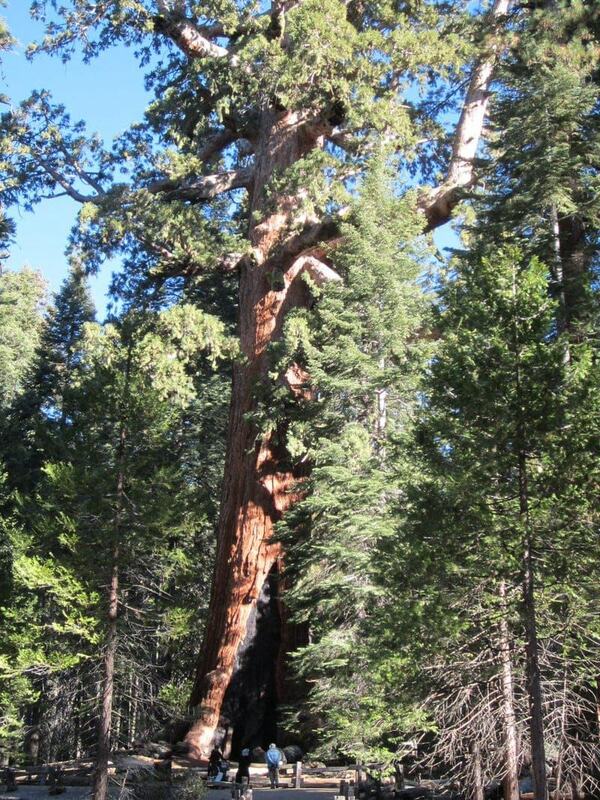 The oldest giant sequoia is believed to have lived to be over 3,500 years old. I just couldn’t keep thinking about how a living tree could have been around from the time of Cleopatra and Caesar and still be alive today! Some of the many highlights of the Mariposa Grover are the Fallen Monarch, California Tunnel Tree, Grizzly Giant, and the Telescope Tree. You’ll also the see the Mariposa Grove Cabin which was built as a museum in 1930, and is a replica of Galen Clark’s cabin, the first known non-native person to visit the grove. Signs can be found throughout the grove giving you information for a self-guided tour. The Big Trees Loop (0.5 miles, 30 to 45 minutes) trail is a shorter easy trail suitable for families, those in wheelchairs, and those who are short on time. The Grizzly Loop trail (2 miles, 1.5 to 2 hours) is a great recommended trail for those wanting to see the highlights of the groves. Avid hikers may want to do one of the longer trails. 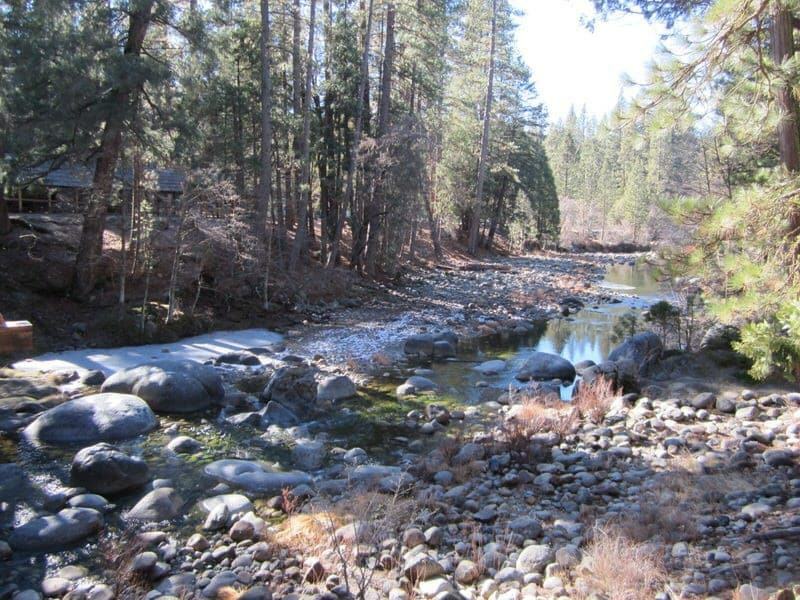 The Marisposa Grove is located only a few miles from the Yosemite South Entrance right off Wawona Road/Highway 41. Visitors to Mariposa Grove need to park (or take the bus) at the Mariposa Grove Welcome Plaza and from there you need to take a free shuttle to the grove. The shuttle operates most of the year (it stops in the winter when the road become snow covered) and you can check the hours here. During the winter, the shuttle doesn’t run and the Mariposa Grove Road is normally closed in winter due to snow. However, all trails in the grove will be open in the winter for cross-country skiing and snowshoeing activities. When closed to cars during winter, the Mariposa Grove Road is open to hikers, snowshoers, and skiers. You can find water and toilets at the Mariposa Grove Welcome Plaza and at the arrival area at the grove. The Welcome Plaza also has information, maps, and gifts. There is no food services at Mariposa Grove and limited facilities. Dogs and bikes are not permitted in the grove, and horses are only permitted on the Perimeter Trail. 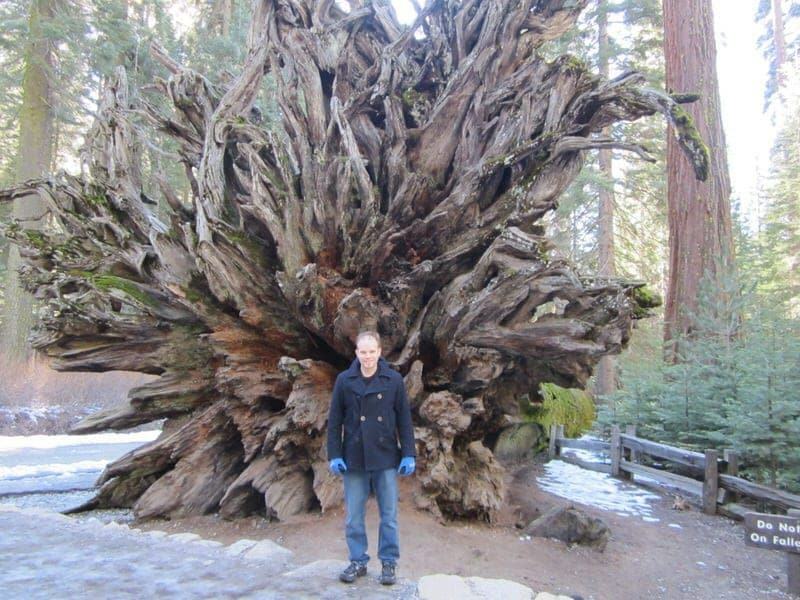 Ethan in front of the massive Fallen Monarch – this tree fell 300 years ago! Yosemite National Park is full of great hiking and climbing opportunities and the southern part of the park is no exception. While the hike through the Mariposa Grove is most people’s favorite hike in this area (and the most crowded), there are more off-the-beaten-path hikes to be found here such as this list of Wawona area hikes and I’d pick up a map at one of the visitor center’s before setting off. While the southern trails, climbs, and waterfalls may not be as blockbuster as some of those around the Valley, they are still quite scenic and come with many fewer people. For even greater solitude and a chance to be alone with some giant sequoias, check out these hikes right outside the southern end of the park: Nelder Grove and Lewis Creek. Compared to the hikes in the Yosemite Valley, you might actually get to experience what it feels like to be alone with some scenic wilderness. Before setting off, be sure to be prepared with a good trail map and provisions as there may not be many people on the trail and you are unlikely to have good cell phone service. Climbers looking for a new experience outside the Valley might consider the Wawona Dome. For those looking for less adventurous outdoor activities, you might play a round of golf at the Big Trees Lodge Golf Course (yes, there is a golf course in a National Park and it was also the country’s first organic golf course!). There you have it, our guide to the top five things to do in South Yosemite. We hope this will be helpful in planning your trip to Yosemite National Park. You might also want to check out our posts on a 1 day Yosemite Valley itinerary, top photography spots at Yosemite, and attending the famous Bracebridge Dinner at Yosemite. Have questions or want to share some tips based on your experiences at Yosemite? We’d love to hear from you. We are traveling to Yosemite next week. We are staying in Oakhurst. Any tips about what to see, hikes that are kid friendly, current weather conditions, and anything else would be amazing. Thanks for the information. We will definitely use the itinerary as a baseline. We will be there for 4 days, and hope to squeeze in at least a little each day. I am traveling to Yosemite on in late June for two nigths and we are staying in the Big Trees Lodge. I am wondering do you know if we should rent a car to go into the centre of Yosemite and go on tours from there or if there is a shuttle bus in? Also have you any recommendations on how to make the most of the trip? The Big Trees Lodge is a great place to stay to be a bit out of the way and is a quieter place in the park compared to Yosemite Valley which can get very crowded during the summer months. There are some great hikes in that part of the park, the Pioneer Yosemite History Center, and opportunities for horseback riding and golfing. But you’ll want to also spend at least a day in Yosemite Valley as there are a lot of highlights there and elsewhere in the park. For transportation, there is normally a free shuttle service however it is not operating this year because of the current closure of Mariposa Grove. But YARTS runs a bus from Big Trees Lodge to the Valley several times a day in the summer and return trips. I would just coordinate the times so you know when to catch it to return, there is a fee for the bus tickets. However, once you get to the Yosemite Valley, you can catch free shuttle buses to get you all over the Valley and into some of the other areas of the park. Here is the YARTS bus schedule. Your lodge should also be able to tell you the current bus schedule so I’d recommend the bus service rather than driving if you can just so that you don’t have to worry about parking. In the Yosemite Valley, here are some ideas for what to do once you are there if you just have a day in the Valley. With a second day I’d recommend choosing a longer hike (perhaps to Vernal Falls or upper Yosemite Falls) and/or taking a bus up to Glacier Point. Check out this post for Yosemite Valley day planning ideas and this post for some of the best Yosemite photography locations. I enjoyed reading about your trip to Yosemite. My husband and I are planning our trip in may. We will land in Fresno may 18. We are not renting a car. We will travel by YARTS from the airport to oakhurst. We will be in Yosemite until may 26. I saw that YARTS has many drop offs but will it have enough to see a lot for the time we are there. Should we try to stay at different areas or keep our base hotel in oakhurst? Any info will be greatly appreciated. Thank you. So for my short answer, my opinion would be to divide your time between 2-3 places. Oakhurst is better for those just doing a day trip to Yosemite or those wanting to explore places near the park or just the south side. If you want to explore more of the Valley and central areas of the park, I’d definitely recommend spending some nights within the park. Taking a look at the YARTS stops, I think there are plenty of places you can stop along the routes and find things to do from historic towns to hiking to the park itself, although it depends on what you and your husband like to do. Oakhurst is about a 1 hour 30 minute to 1 hour 45 minute drive from Yosemite Valley (not sure about how long by shuttle), so since you have a lot of time available for your trip I would definitely consider spending at least a few nights of your trip in Yosemite National Park as you would waste a lot of time commuting back and forth if you are doing the trip over multiple visits. There are central Yosemite Valley lodging options that range from budget camping to the Majestic Hotel (book as soon as you can as all the lodging options typically fill up in advance). Or you can stay a little further outside the Valley at the Big Trees Lodge (formerly Wawona Hotel) or Tenaya Lodge, although be sure to check about shuttle/bus transportation connections if you stay outside the Valley before booking. There are lots of great places to explore near Yosemite (outside of the actual park) if you spend part of your time based in Oakhurst and/or Mariposa. 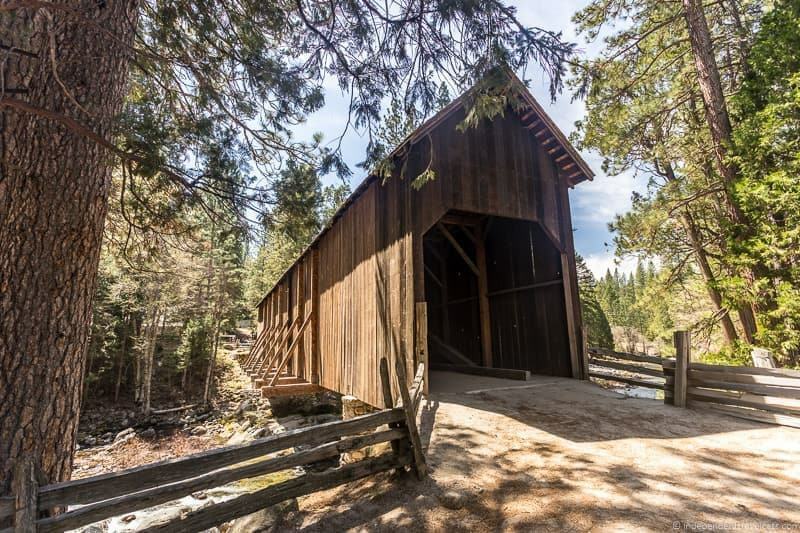 Places you might consider are Nelder Grove for hiking, Lewis Creek for hiking, exploring the little historic towns such as Coarsegold and Mariposa (several historical spots), and taking a trip on the Yosemite Mountain Sugar Pine Railroad. Fresno itself is not often considered a prime tourist destination, but it has some nice gardens and museums if you are looking to add any city attractions. Mammoth Lakes is another option a bit further along. I am not sure if buses will be operating in May though, but Mammoth Lakes has some beautiful lakes, mountains, trails, and resorts. BTW, if you are looking for a special night out, Erna’s Elderberry House is an excellent fine dining restaurant just outside Oakhurst. Hope this helps and I hope you have a fantastic trip to Yosemite! 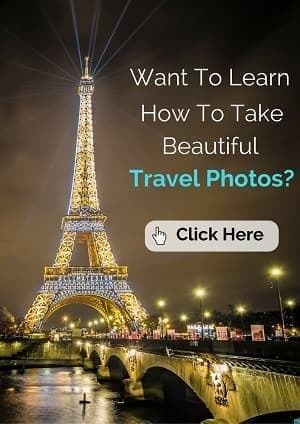 Hi, thank you for sharing your great travel tips. I am planning to visit Yosemite in either mid-March or mid-April. How are the two usually weather-wise? 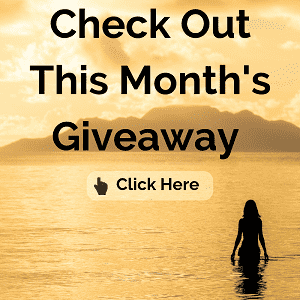 How much is open in March vs April? How late does skiing/snowshowing last? Also, with the Mariposa Grove closed, any suggestions on visiting the other groves? Also (! ), what non-hiking activities do you have for young kids? (In case the 3- and 4-year-olds get tuckered out or saturated by the scenery after a day or two). Glad you found our Yosemite Park tips useful. It really depends on what you are most interested in when considering a visit in March or April. I would probably advise visiting in March if you are more interested in the winter snow activities (skiing, snowshowing, snow tubing, etc.) as these generally start in January and will end once there is no longer enough snow left (I would call ahead to check closer to the time as it is obviously depends on the weather). You’ll also find fewer visitors in March rather than April and perhaps better prices. But I would choose April if you want warmer weather and more hiking opportunities. In either month it can be cold and damp, so bundle up as temps after sunset can be below freezing, but you’ll generally find it will be warmer in April than March. Another reason to go later is to see the fuller waterfalls, they reach their peak in the Spring months as the snow melts, normally May is peak flow, but many flow all year long. While all the main Yosemite Valley roads and attractions should be operating the same as usual during those months, some of the roads will be closed due to snow in March & April. For example, Tioga Road (Hwy 120 through the park) and Glacier Point Road are closed in the winter and normally don’t open again until May or even June so there are some places you won’t be able to reach by car or shuttle in either of those months as snow sits at the higher elevations into the early summer. 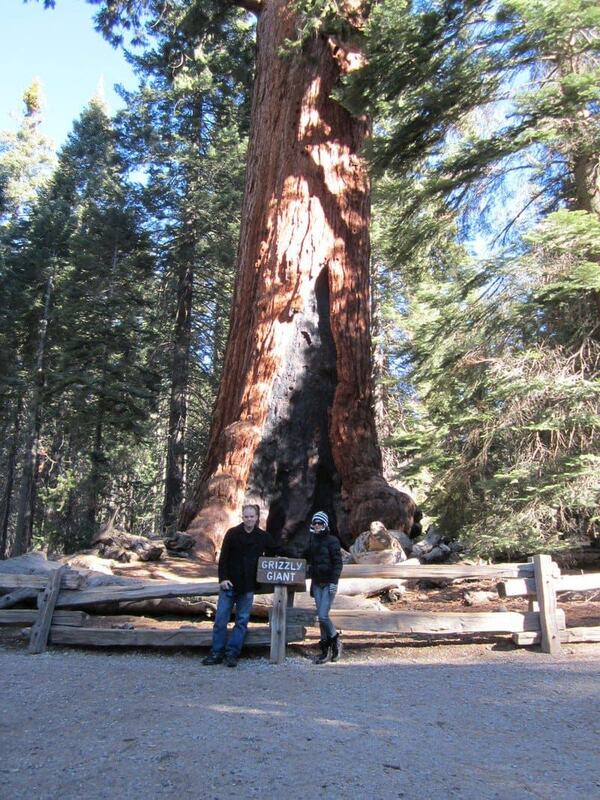 In terms of Giant sequoias, Nelder’s Grove in nearby Sierra National Forest is a great alternative I’d recommend. In addition to hiking & sightseeing, there is still a lot to do. There are the winter activities if they are still happening during your visit, horseback riding (check on opening dates), guided tours you can book around the Valley, and you can make visits to the Pioneer Yosemite History Center, the Yosemite Museum, and/or the Indian Cultural Exhibit and Village which has some children-friendly exhibits. For more info: https://independenttravelcats.com/2013/12/29/planning-day-yosemite-national-park-introduction-yosemite-valley/ I would also consider booking a hotel with an indoor swimming pool or indoor play area for the kids so they have a place to relax in between sightseeing and hikes. Enjoy your time in Yosemite! Hello Jessica, Your info about Yosemite National Park was very helpful, thank you! My family and i plan to visit the south part of the park during the week of thanksgiving just get away from city lifeand are staying in a town called Coarsegold. Do know somewhat about how the weather should be this time of year? Plus is there anything open on the 24th? What do suggest we do? Hope you e-mail soon; thank you for your time in responding, Sincerly ,Sammy. How is the weather now? Is there snow? What are the 5 must see things in the southern part if we travel with kids 8-12? We are in the South part of Yosemite right now, but it is winter. The Mariposa Grove isn’t open. Do you have other suggestions on what to do in this area? I’ve planned to go to the Yosemite Park this year with my family. We live in Europe and for the five of us it will be the first time! Thank you for this interesting article, we are looking forward to see it all by ourselves. 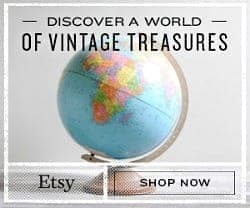 I am glad this article was helpful to your planning and you can check out our other articles about Yosemite and California as well. I think you and your family are going to have a wonderful time at Yosemite. Feel free to contact us if you have any questions. Great tips for the Southern part of Yosemite. 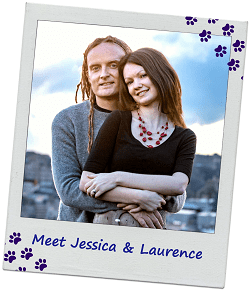 We went horseback riding their several years ago and loved it. The park is so much quieter on that end. Thanks, yes especially in the winter! We had the Pioneer History Center to ourselves and there were only about 10 other cars at the Mariposa Grove. I’ve always wanted to go there! Hopefully one day I will and I’ll be able to use your wonderful advice!! Hope you do get here one day! Feel free to contact us if you do start planning a trip to Yosemite.